To Unbundle or Offer Multiple Bundles? If you are looking at pricing your new cloud based service, there are two Airline pricing stories in recent news that I want to call your attention to. These are relevant to X-as-a-service businesses that struggle with value maximization. The two stories are similar in their goals of maximizing their value capture while not taking away customer choices. But they go about that in two different ways. Fully Unbundled Pricing – South African airlines FlySafair completely unbundled its ticket. The base price you pay for the ticket gets you just that – a seat with assured safe travel. Everything else is extra – inducing selecting your seat or getting TXT alerts on status. Their business policy is recognizing there are many different customer types that value different features differently. But a vast majority they want to serve select based on base price. Instead of bundling features and set a higher base price they practice fully unbundled pricing. 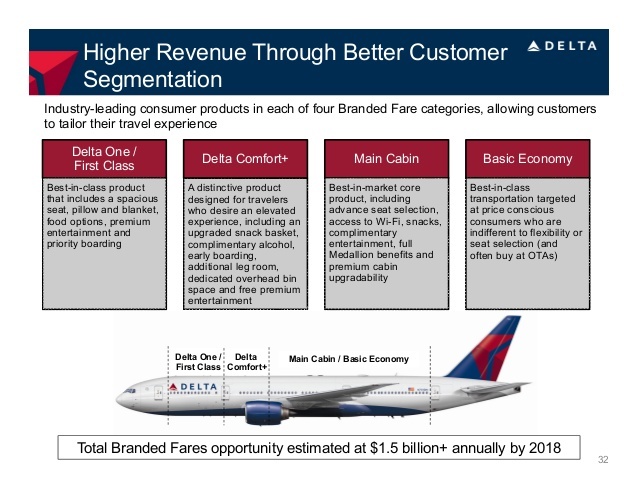 Option of Multiple Bundles – Delta Airlines reported its latest quarterly numbers and in that stated it made $75 million in profits from its “Branded Fare Initiative”. Branded Fare offers customers five different versions at different price points and features mix and letting customers self-select. Each version is a bundle of features and targeted at specific segment. For instance, the lowest priced version does not include the option of seat selection while it includes Wifi. Delta calls this strategy as better customer segmentation. That is correct and likely they did extensive marketing research to find what is relevant to which segment and define the right number of versions. You can see a similar segmentation research on the airline preference I did a few years ago. FlySafair is practicing segmentation too – it allows for many different segments, not just five we see with Delta. I have written at depth about Unbundling as pricing strategy and about price bundling based on customer segmentation. Which approach is better for your cloud service? 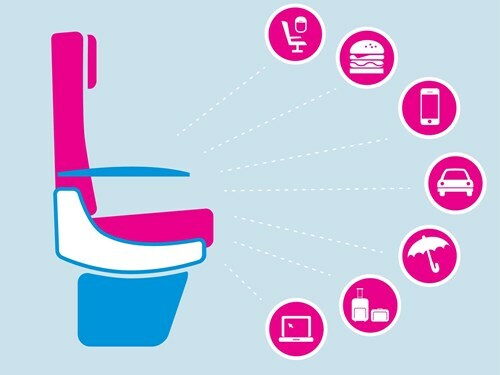 Should you take FlySafair approach of offering a base product at lowest possible price and make everything else extra? For example a APM SaaS may offer simple data collection at base price and offer advanced analytics, monitoring, alerts, replay etc as extras. Or should it offer 3 to 5 versions? I recommend Unbundling as experimental approach rather than a long term pricing strategy for your MVP. A big advantage of complete unbundling is it drains the water in the pond and exposes all rocks and deep ends. When you are starting with a X-as-a-Service it makes sense to start with fully unbundled pricing. This is your marketing research unlike established businesses. However it does have the ill-effect of being seen as nickel and diming. Even if that is not the case every time customer has to make a buy or no buy decision on an extra they incur significant cognitive cost. Paying for multiple extras causes more pain than paying once for a prepackaged bundle (Prospect theory). Use unbundling to find the value distribution among customer segments. Then use the customer preference data to define specific and limited product versions like Delta did. That offers better customer experience and value maximization. Let us recap the news item. A spa in Japan offers Live Snail Facials – For $350 you can have five snails slink all across your face. It is a painful process even though it lasts only five minutes. Let us set aside the fact that this non-scalable , one customer per day, service is not really the product. Let us ask, if this were a real product, if the spa would like to expand its market to men, what should it do? Say men have less tolerance for pain when it comes to beauty. Could the spa offer lower price to men to help slime grease the wheels? That is overt and egregious price discrimination. A no no! While price discrimination is good, gender based price discrimination is NOT. So how can it put to practice an effective and fair price discrimination? Remember bundled pricing works when customer preferences are negatively correlated. Set a price that represents the sum of the higher and lower value perceptions of women and men. Say a $550 couples package could work. The man would think his cost is $200 while the woman would think her cost came down from $350 to $275. Besides the couples package will help drive more customers as women bring their partners, like this Candy store CEO says. Sure you give some consumer surplus in cases where both people value it at full price. As long as that lost revenue is smaller than what is gained from serving more customers with the bundle you should do it. For complete fairness, you should offer the couples package to any couple. Create an express version – 2 minutes for $200. That helps assuage men’s concern for pain and fright. And the lower price is attractive too. Brand it to signal something other than the best so women are less likely to choose it. As long as you are creating versions, create another premium version, there exist customer segments willing to pay more and you should capture that. Both these options implemented together would work as well. 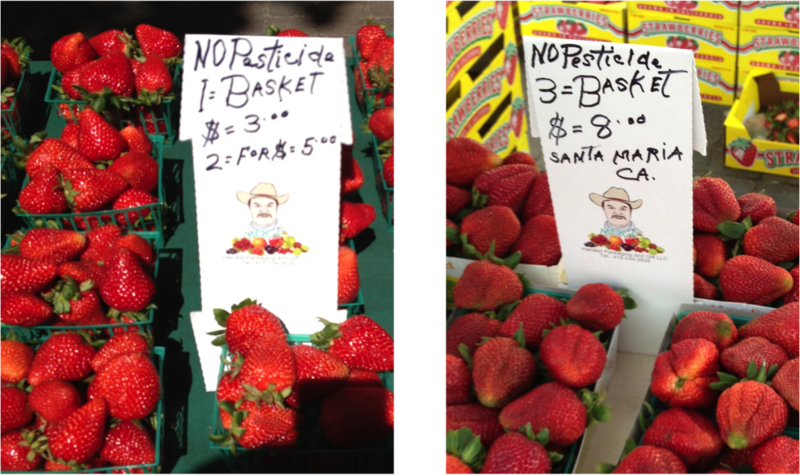 There you have it – Live Snail Price Discrimination done fair and square. Think about this pricing puzzle for a moment. Apple includes a standard, good-enough, headphones with all its iPods. Even the cheapest iPod shuffle, priced at $49, comes with one. But there is none included with iPad. Even the most expensive Wifi version, priced at $699 does not include headphones. If you consider the marginal cost of iPad, it is safe to say it is less than 50% for 16GB iPad and even lower for 64GB iPad. If the cheapest iPod shuffle can include one, it is highly likely the headphone don’t add too much to marginal costs (may be a $1). Then why there are none included with iPad? If your answer included words like – consumer surplus, perfect product packaging, utility and willingness to pay – you can skip the rest of this article and go straight to the bonus puzzle at the end of the article. While you think about this puzzle let us take a diversion to what has become the conventional wisdom in customer satisfaction. Number one advice from customer satisfaction/loyalty proponents is turn your customers into loyal and raving fans. And how would a business achieve that? By delighting them, by going the extra mile, by delivering remarkable customer service and not by nickel and diming for extras. Conventional wisdom is neither conventional not wisdom. The basic economic theory about consumer surplus and pricing is you don’t leave too much consumer surplus – in other words you don’t give more than what is absolutely needed with the product at a given price point. From that perspective, Apple is offering the perfect Goldilocks package – include only the absolute minimum that is needed to sell the product. Every additional item you include to the product package must deliver incremental value to customers that can be translated into incremental pricing for you. If either the customer does not see value or the value does not translate into higher willingness to pay, you should not be including it. (See also Value Step Function). May be you buy this economic argument from selling the product perspective. What about driving loyalty? Wouldn’t the customers be even more delighted if Apple were to throw-in headphones with iPads? In a research I conducted two years ago, I showed that you do not have to beat customer expectations by a mile to gain loyalty. Beating it just enough will do. There is no statistically significant difference in customer’s propensity to recommend your product whether you just met their expectations or gave away the farm. On a related note, Kindle Fire priced at $199 does not include headphones as well. That is likely driven by cost given Amazon’s approach to pricing. How do you decide what to include in your product? What is your perfect packaging? Why didn’t apple offer yet another iPad offering at higher price with premium headphones?